After that [The Wild One], I tried to get into PRINCE VALIANT (54, Robert Wagner starred). So I went to Western Costume to dress up like Sir Black [sic; the character’s name is actually Brack. The part eventually went to James Mason], the heavy in it.They fitted me in this outfit, all sashed pants and that had a medieval glove with a weapon from that era. And I thought, how am I gonna get in there, so I went to climb the fence at 20th Century Fox, but I couldn’t make it because of the clothes I had on. It was right near a golf course and a golfer helped me over with a ladder. I told him I was an actor on the set who got lost. I tried to find the director, Henry Hathaway, but he wasn’t in his office so I went to the commissary where he was having lunch and said, “Here I am, Sir Black! My men number many. I’m here for the part. Do I get it?” I took out my knife. He said, “Put the knife away, you got the part.” Then I was escorted off the lot. I never got the part, but I enjoyed it. It was fun. Today we observe the 90th birthday anniversary of the legendary Marlon Brando. 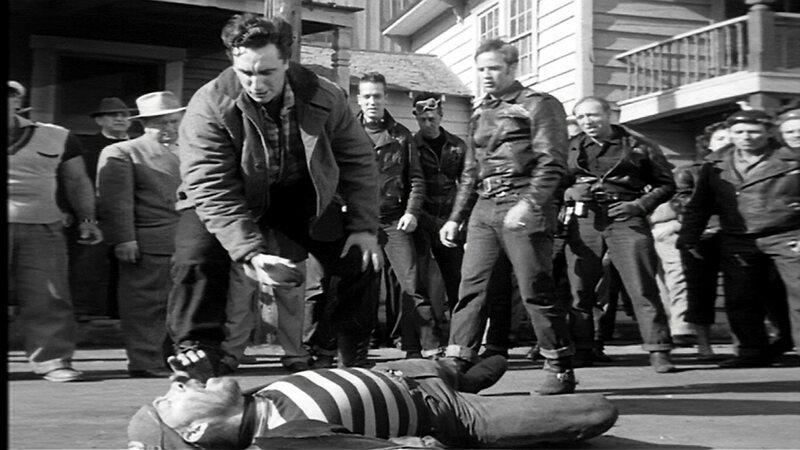 Timothy appeared with him twice, in The Wild One (1953) and One-Eyed Jacks (1961). Here is a rarely seen promo still from that latter film that I received from friend of the blog Toby Roan, author of the forthcoming A Million Feet of Film: The Making of One-Eyed Jacks. 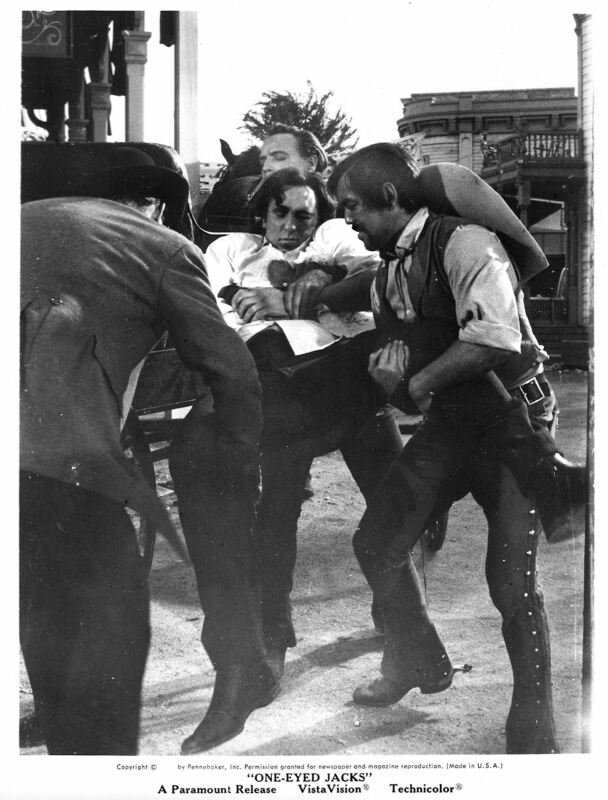 In a scene not appearing in the final cut of the film, the dead body of ne’er-do-well Howard Tetley is carried away by Rio, the man who shot him (Brando), Chico (Larry Duran) and Sheriff Dad Longworth (Karl Malden). “You know, I was always a hound for publicity,” Tim said in the Psychotronic interview. “They were doing the Academy Awards and Brando was up for it. 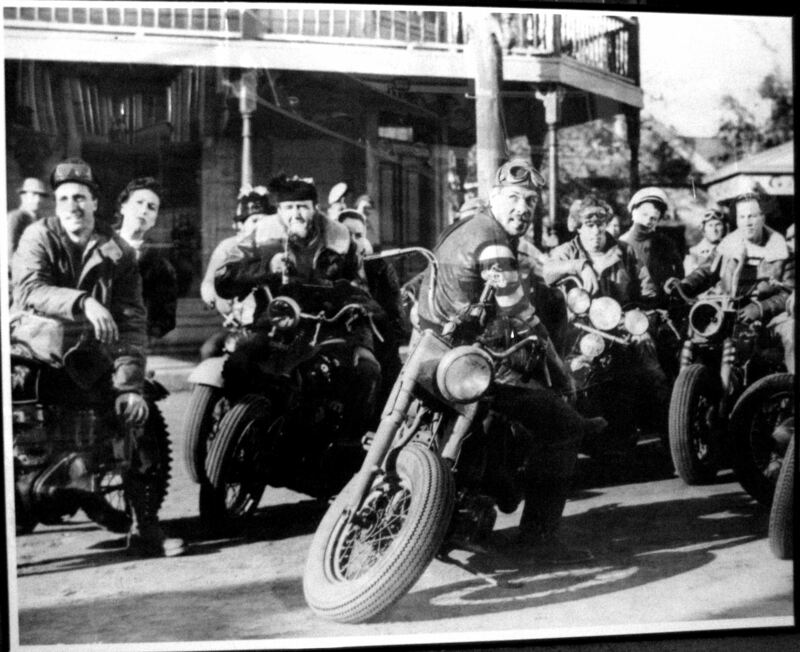 Well, I knew him from The Wild One, I knew he was going to get it (for On the Waterfront), so I was getting dressed up for it and I was going to go up there and get it before he got there, but some guy from Western Costume who was dressing me up talked me out of it.” I think most of us secretly – or perhaps not so secretly – wish he had gone ahead with his dastardly plan. Sending afterlife birthday greetings to you, Mr. Brando! You know, I was always a hound for publicity. They were doing the Academy Awards and Brando was up for it. Well, I knew him from The Wild One, I knew he was going to get it (for On the Waterfront), so I was getting dressed up for it and I was going to go up there and get it before he got there, but some guy from Western Costume who was dressing me up talked me out of it. Congratulations to all of tonight’s Oscar winners!